Spring Is Coming—but Heating Repairs Can’t Wait! Don’t let thoughts of spring lull you into a false sense of heater security! Okay, so we are going to have to make another slog through mud season before spring arrives. Still, it feels close, doesn’t it? Especially after this winter? It’ll be so nice to put the shovels away! To get rid of the lingering salt and sand! To shut off the heater for the—well, let’s not get ahead of ourselves. Even clear and sunny days, even those this close to spring, can come with some very cold temperatures around here. The fact of the matter is that you’re going to need your heater for a bit longer. And that means that you need your heater to be functioning properly for a bit longer. And that means that you cannot afford to turn a blind eye to any problems with your home heating system, even if it is getting pretty late in the heating season. Any and all heating repairs in Southern Vermont need to be handled swiftly, regardless of the date! 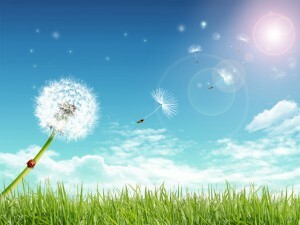 Posted in Heating | Comments Off on Spring Is Coming—but Heating Repairs Can’t Wait! It’s a little late in the game to be having a new heater installed around here. The cold of winter came pretty early this year, and it doesn’t seem to be letting up anytime soon. So, hopefully, you’ve already got yourself a great heater installed in your home. If your existing heater is giving you trouble, though, or if you’re just planning ahead to a replacement come springtime, this may be the post you’ve been waiting for. Don’t rush the decision-making process. If you’re serious about replacing your heater, or if you’re deciding on a new system for a new home that you’ll be breaking ground on when the ground is breakable once more, a boiler in Bellows Falls may be just what you’re after. Boilers are the very definition of an “oldie but a goody”. 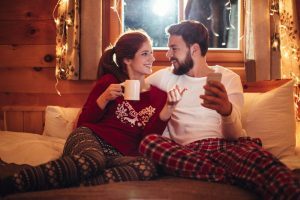 Read on to learn more about the many benefits that you’ll enjoy when you choose to heat your home with a boiler—and leave its installation and service to us! Posted in Heating | Comments Off on What Are the Benefits of Using a Boiler? Feel That Chill? Time for Heating Maintenance! Here in Southern Vermont, the cool (and outright cold!) weather can come a lot early than it does in other parts of the country. While we enjoyed—or at least tolerated—some very hot weather this past summer season, you’ll notice that those humid, 80+ degree days have fallen off of the forecast now. It happens every year, after all. You know what else should happen every year, right around this time? Your heating tune-up in Ludlow! Posted in Heating | Comments Off on Feel That Chill? Time for Heating Maintenance! It’s only mid-February, and Vermonters know that this means there is still a lot more winter ahead of us—though some of us may actually prefer the snow on the ground to the looming emergence of mud season. What does this mean for our heating systems? Well, that there is still a lot more work ahead of them. It may be tempting to turn a blind eye to heating problems when we’re creeping up, however slowly, on the Spring season. That’s just not a risk that we can take around here, though. No matter how minor a problem with your heater may seem right now, there is plenty of time ahead for that “minor” problem to take a serious toll on your system. Scheduling prompt heating repair in Springfield, VT is always going to be your best bet. Here are some of the benefits that you have to consider in doing so. Contact a member of our team should heating problems arise. We’re creeping up on February, and you know what that means! Um, a lot more cold weather and winter scenery to come. Hopefully, your heater is hanging in there and giving you the support you need so far this season. If you are thinking about replacing your heating system once this winter is past, or if you need a new heater for a new property that you’ve got going up, chances are you are looking at both forced air and radiant heating options. 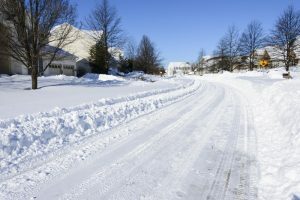 You cannot afford to take any chances when it comes to heating in New Hampshire, so the pros on our staff have some tips to help you determine which system is right for you. Remember, there is no single heater that is going to be ideal for every home or for every homeowner. You need to do some homework, and definitely ask questions as they come up. This is a major investment, and the heating system that you choose really needs to rise to the occasion in this area. The winter solstice may have just passed, but it has felt like winter in our area for quite a while, now. You have no doubt been running your furnace for some time already, and we certainly hope that you remembered to schedule professional heating maintenance in New Hampshire this year. If not, there is no way that you can expect your furnace to function at peak performance and efficiency levels. There is also one very important maintenance task that you should be handling on your own. That is changing the air filter that your furnace uses regularly. Typically, you’ll need to do this once every 1-3 months. 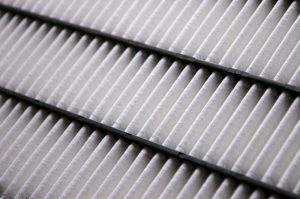 There are many factors that influence the need for changing a filter, though, so that is really just a basic guideline. The best way to figure out if the time has come to replace your filter is simply to check in on its condition from time to time. But how does a dirty air filter really affect a furnace? And is it really that big of a deal? December is somehow already nearly halfway over. We’ve got a lot of the heating season left to go, though, and this being Vermont means that the cold weather is going to be pretty severe for the foreseeable future. If you hope to make it through the heating season in true comfort—or anything even resembling it—then you really need your heater to be firing on all cylinders. The fact that your heater is generating heat does not necessarily mean that it is doing so in the proper manner. One question that we get from concerned homeowners now and again is why their heaters seem to be running in short bursts. The system starts up, but stays on only briefly before shutting back down again. 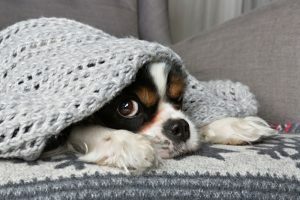 While this may seem at first to be something of an odd quirk, the fact is that any problems with your heater have the potential to seriously disrupt your comfort. This particular problem is called short cycling, and it can definitely spell trouble for your heater in Ludlow, VT.
Posted in Home Improvement | Comments Off on Why Does My Heater Keep Shutting Down? If there is one system that you really don’t want to gamble with in the middle of winter in New England, it is your home heating system. These days, heaters in general are more dependable and reliable than ever before. However, no heater can truly claim to be 100% reliable. That just is not a possibility. Even the furnace, which stands as probably the most popular and common of all home heating systems, can suffer from occasional operational problems. If you use a furnace to heat your home, you are going to need to schedule professional furnace repair services at some point. There are plenty of warning signs that you may notice that could indicate a furnace in need of repair. 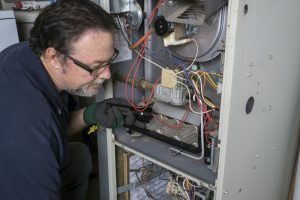 There are also some relatively common furnace problems that you may encounter, and we’re going to cover a few of those today. Don’t be taken by surprise if you should encounter any of these issues with your furnace in Langdon, NH. Do you use a furnace in Alstead, NH? If so, then chances are that you do not need us to elaborate on just how efficient and reliable these systems can be. The furnace has earned its place among the home heating system elite thanks to its prompt, effective heating performance. Like any other heating system, though, the furnace is not perfect. At some point, you are going to find yourself in need of furnace repairs. Ideally, you’ll realize this early on.